Hampshire Web Solutions: Web design, Petersfield, Hampshire based. 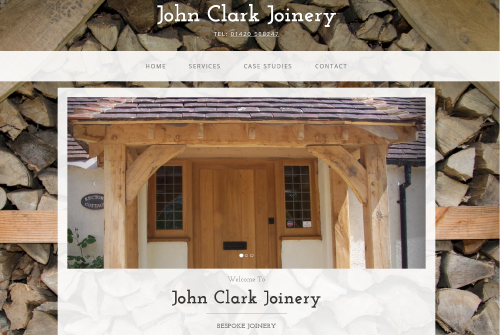 Looking for a bespoke web site with a personal service? You've come to the right place! Hampshire Web Solutions was setup by Petersfield-based Warren Peters to provide a web design service for your business, club or for personal use. As well as the web design element, we can also take care of your social media, E-commerce, SEO, marketing and imaging requirements. Why choose me? We can provide a complete package of web space and domain name registration, alternatively we can transfer in your existing site. Java scripts can be used to enhance the web site, contact forms to cut down the amount of spam mail and email setup. Your online store can be tailored to your individual needs, custom payment options including PayPal and other online payment providers. Facebook, Twitter and Linked In. Content creation, account and campaign management. Influencer insights, analysis and engagement. In todays digital age there are many options for building your own site, wix, wordpress, godaddy, squarespace etc and many other companies offering cheap websites, BT for example include one for a monthly fee, but most of these look amateurish and aren't a great way of showcasing you or your business. A lot of the big web hosting companies offering exciting promotions, "free domains" "£1.99 hosting" but these are designed to entice, reality is that most of these companies fees are extremely high after the promotion ends. One company I've recently had experience with was charging £178 per year for a .co.uk domain and a free web builder, great? No, even if you could produce a reasonable looking website from the builder there was no way to get at any of the files, hosting was extra! Of course if you're very technically minded and have plenty of free time to learn all the different systems and their respective downsides then go for it, alternatively I could help, we could meet up, chat over the phone or email and together build a professional looking site, tailored to your business or club. Contact me now using the contact form or call me on 07798 711271 - thanks for reading! We have had excellent feedback from our web-site which looks great and is easy both to navigate and up-date via the blog. Fantastic friendly service! 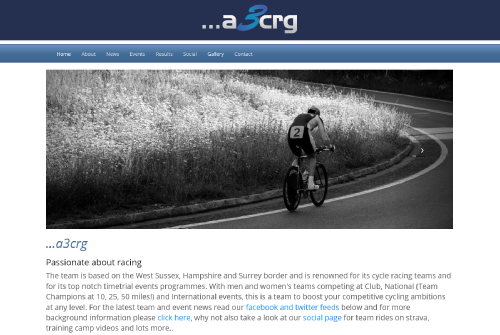 Built using bootstrap and utilising PHP, this mobile friendly site has many pages and multiple features including facebook and strava feeds.. 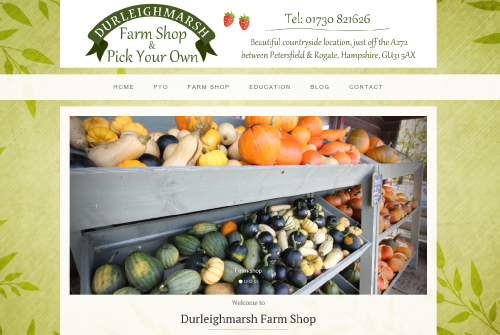 This mobile friendly multi-page site includes a facebook feed, email campaign link, blog feed and an embedded video for this high successful PYO Farm and Shop..